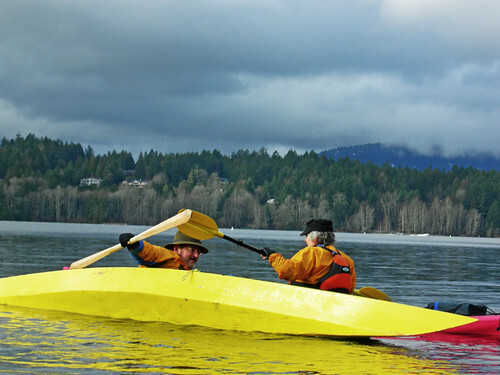 The weather cleared up nicely this morning and allowed us to paddle for a little excercise out on the lake. The water was cold and the lake was empty of swimmers and power boats as we launched. It was really peaceful with only birds around to watch us. Bernie and Paula aligned boats and Bernie used paula's boat as a sophisticated paddle float, showing Catherine how much support you can get from another boat in something like a rescue situation. 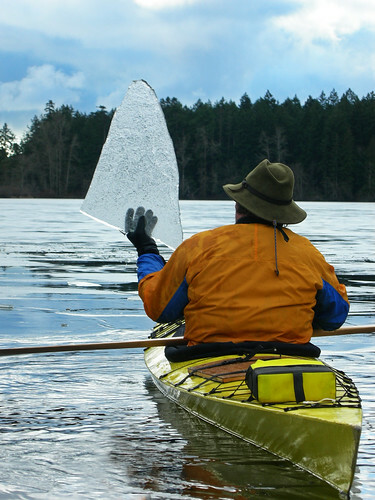 Once I finished dilly dallying taking photos, we gently glided over to the rowing club and just as we got close, we saw another kayaker heading back to shore. 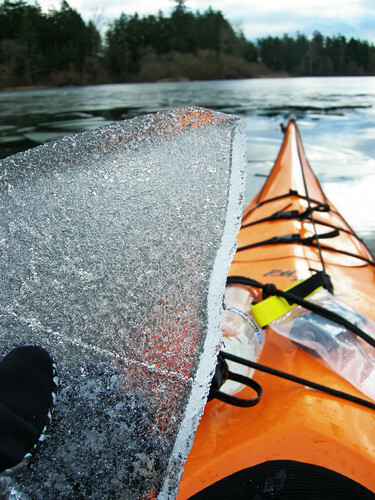 He told us that beaver lake, the southern connected lake to Elk Lake was completely frozen. We had to see this for ourselves, of course. Well, he was right. Paula tried the ice first and we realized this direction was totally impassable. 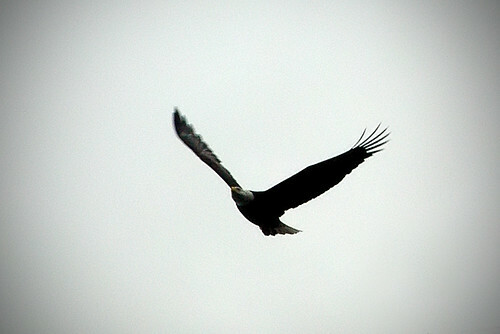 Our plans to go around Beaver lake were thwarted, but just before we left, we were treated to the racket of eagles up in the trees. They make a heck of a noise when they're upset.